On September 14th, 2013, two of boxing’s biggest stars will square off against each other in the ring. I’m a bit surprised at how quickly the fight between Floyd Mayweather Jr vs Saul Canelo Alvarez was made, but in hindsight, it appears that Floyd has once again got the right opponent at the right time. Here’s my take on who I think will come out victorious. When it comes to attacking, Floyd is sharp, calculated and consistent. He anticipates his opponent’s every movement and capitalizes on their mistakes with quick stinging counterpunches. I can see Floyd’s straight right tagging Canelo over and over again. Canelo’s offense is also sharp and calculated, but lacks any real consistency in his attacks. He has excellent combination punching, but it’s only effective against still targets. When given a bit of movement, as seen in the Austin Trout fight, his punch output and fierce combinations dwindle. 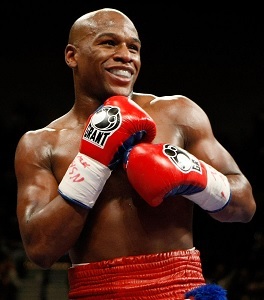 Advantage – Floyd Mayweather Jr.
We all know what Floyd is capable of. His mesmerizing shoulder roll technique, which was not seen in his fight against Robert Guerrero, will be on full display in his fight against Canelo, because he’s an orthodox fighter who throws somewhat predictable combinations. 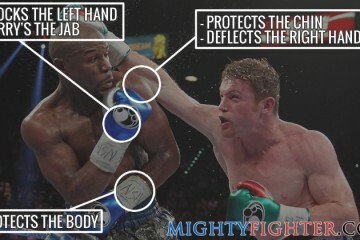 I believe Floyd will be able to pick off most of Canelo’s shots and counter him. Canelo on the other hand, his defense is leaky at times and is still in working progress. He doesn’t move his head often enough especially when on the attack. If he knows you’re going to attack, sometimes he’ll try to slip, slide and roll out the way, but the thing is, Floyd’s offense is so quick, accurate and unpredictable that Canelo will have a very hard time knowing when the shots are coming. Floyd’s footwork is like watching a world-class dancer in action. His balance, positioning and fluidity makes him even harder to catch. The same cannot be said about Canelo. Though his balance and positioning is good, he often stays too immobile and flat footed, or slowly plods forward. I really don’t see how he’ll be able to cut the ring off and catch Floyd consistently. Floyd and Canelo are both speed demons. However, Floyd’s speed has declined ever so slightly over the years and this fight will be at a catchweight of 152lbs, which means Floyd will naturally lose some of his speed at a higher weight, unless he comes in at welterweight. If you compare his fights with Miguel Cotto (154lbs) and Robert Guerrero (147lbs), it’s clear that Floyd was a lot faster at the lower weight. The fact that it’s at 152lbs, may or may not affect Canelo’s hand speed. If it doesn’t, which I suspect it won’t, then he should just be as fast as Floyd. Floyd is not a big puncher, but he does have enough pop to get his opponent’s respect. When combined with the unpredictability and accuracy factor, his punches sting even more. 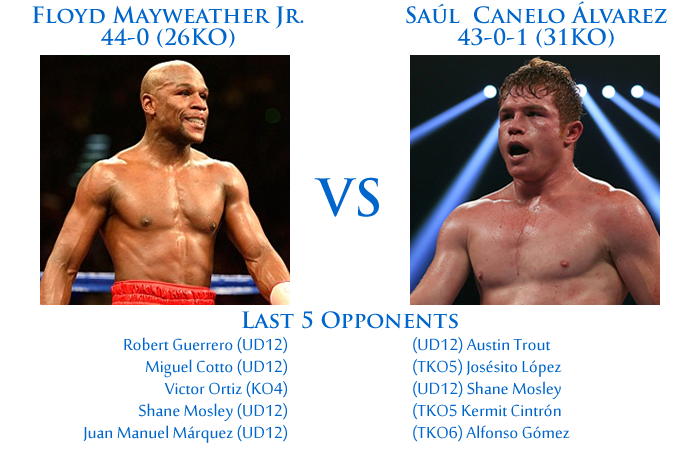 Even though this fight is at a catchweight of 152lbs, I still see Canelo being a stronger puncher than Floyd. However, most of Canelo’s stoppages have been TKO’s against either smaller fighters, over-the-hill fighters or poor opposition, and even then some of those stoppages were questionable. Despite this, he’s pretty explosive and accurate in his own right, but by no means a monster puncher as some people make him out to be. One of the main critiques in Canelo’s game is his lack of stamina. He’s accused of fighting in spots, but I believe it’s just his style to wait and counter, but he sometimes waits too long which allows his opponent to get off before him. The main problem for Canelo is when he’s faced with movement or a bit of pressure, his punch output drops significantly. Floyd is not really a high volume puncher himself, but he does have a consistent attack and when his opponent isn’t doing anything, he will take the lead to get his opponent to open up. To be honest, I don’t see a lot of punches being thrown in this fight, but I believe Floyd will be a bit more active than Canelo. This one’s going to be obvious. Floyd has experience against a variety of top opposition throughout his entire career, and he’s been through many different situations in the ring to already know how to deal with anything thrown his way. He’s tremendously ring savvy to say the least. This is something Canelo has not had the benefit of, simply because of his young age of only 22 years, and though he has had a lot of fights, it has mainly been against low caliber fighters. When this fight was first made, I thought “damn, this is going to be a tough fight for Floyd”, but the more I thought about it, the more I thought Floyd is going to dominate once again. 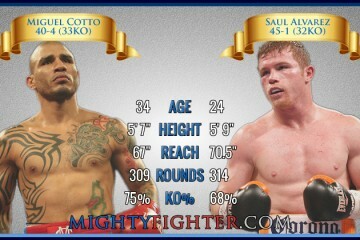 I don’t believe it’ll be tougher than the Miguel Cotto fight since Canelo doesn’t have a pressure style. Floyd Mayweather Jr. will use his movement and counterpunching abilities to befuddle and limit Canelo’s offense. Granted, Canelo has the power equalizer, but it won’t be enough to trouble Floyd because he doesn’t have one-punch KO power, and neither is he active enough to land power punches consistently. I don’t see a stoppage as Canelo should have enough boxing skills to deter Floyd from going in for the kill, which is not within his nature anyway. 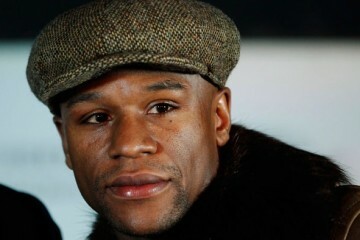 I see Floyd cruising to a unanimous decision victory.